You have type 2 diabetes.” It’s a tough diagnosis to hear. Once you’re told, what should you do? First, take a breath. You may be surprised or even shocked, especially if your body feels the same as it always has. Some people feel scared, sad, or overwhelmed. But after you have time to think, remember this: You can live a long, healthy life with diabetes. You may need to make changes to your daily routine, but it doesn’t have to stop you from doing the things you want and need to do. A shift in your thinking may help you feel better and move forward. “Think of managing diabetes and improving your overall health as a tremendous challenge with a huge upside,” Dodell says. Maybe you haven’t been eating well or getting enough exercise. Maybe you need more of a work-life balance. Your diagnosis can be a wake-up call — in a good way. A change in mindset worked for Quinn Nystrom, a diabetes advocate in Baxter, MN, who has been living with the condition for 18 years. 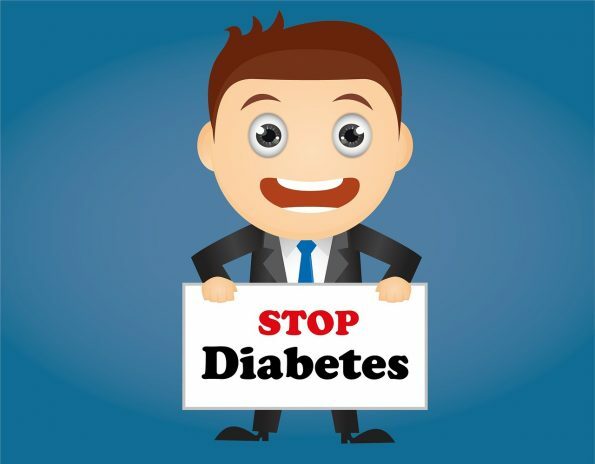 As you start diabetes care, you may hear a lot of topics and terms you don’t know much about, like glucose levels, insulin, blood testing meters, or hypoglycaemia. But there are many ways to educate yourself about the condition and how to control it. National organizations, like the American Diabetes Association and the CDC, offer reliable information and resources on their websites. You can join an online community or an in-person support group. Also, ask your doctor for more information. “Once you understand what’s happening, you learn how to better help yourself,” Popat says. By talking more with her doctor and family, she got a better handle on living with diabetes. You don’t have to go through this alone. “Your doctors are on your side,” Dodell says. They’ll give you tools and education to help you manage it. Make an appointment with a diabetes educator, who’ll give you support and get you on the right track. Help you create a healthy lifestyle plan. Show you how to test and keep track of your blood sugar. Teach you how to buy supplies and use them safely. Watch for problems with your feet, skin, and eyes. To find a diabetes educator, ask your doctor for a recommendation. Or find one through the American Association of Diabetes Educators. Think about bringing a family member or friend with you to your appointments for support. If you try to overhaul your lifestyle with big sweeping changes, you may get overwhelmed or discouraged. Instead, take small steps. Go for a walk every night after dinner. Swap one unhealthy food or drink for a better option. Over time, small changes add up to results. Make changes you can live with long term. Find healthy foods that taste good and are easy to prepare. Choose physical activities you enjoy. If you smoke, talk with your doctor about ways that you can quit for good. You’re more likely to stick with lifestyle changes when they’re easier to take on. Your family and friends can be a big help as you handle your diagnosis and start to make changes. Talk to them about how you’re feeling. Ask them to start new habits with you. You can plan healthy family dinners and stock the pantry with good food choices. Try exercising together, too. Take evening walks, or buddy up for a gym class or morning swim. When you make plans with other people, you’ll be less likely to skip your healthy routine. Most of all, give yourself time to adjust. It’s normal to feel shaken up by your diagnosis. But as time goes on, you’ll get used to your new normal. You may even be surprised how much better — and healthier — you feel.